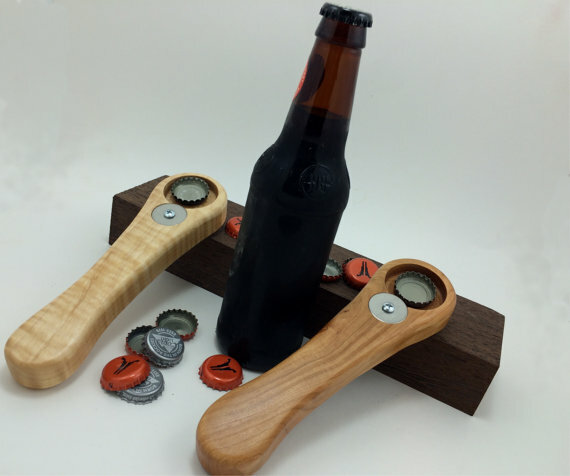 Handheld Bottle Openers | Als Ik Kan Designs – Woodworking, Crafts, and More! Open your beer in style. Don’t use that old wimpy metal opener that stays hidden in the back of your junk drawer behind the asparagus peeler. Pop open your next brewed beverage with class using a one-of-a-kind, hand made, wooden bottle opener.